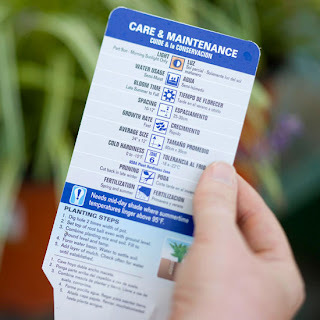 As seasons pass and you practice basic gardening skills, you'll get a sense for what works and what doesn't, and you'll continue to build a strong foundation of garden knowledge. 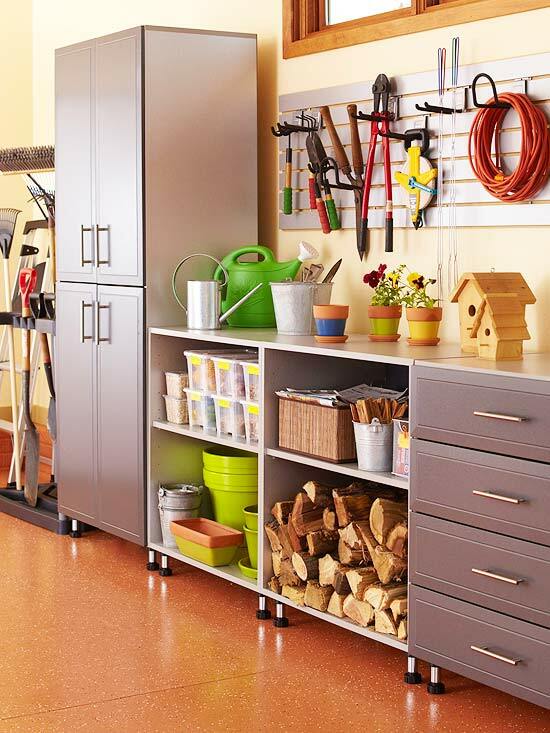 Start gardening with these basics. Evaluate soil. The key to every plant's health and any garden's vitality is in the soil. Healthy soil holds enough water, air, and nutrients to sustain plant life and help it thrive. A soil test gives you a valuable analysis of your soil so you know what you need to make it better. Improve soil. Building healthy soil is a gardener's most important task. Most soils fall short of the ideal: loose, rich in organic matter, and drainable. Adding organic materials—such as compost, rotted leaves, and peat moss—improves any soil. Garden soils and potting mixes differ and should not be used interchangeably. 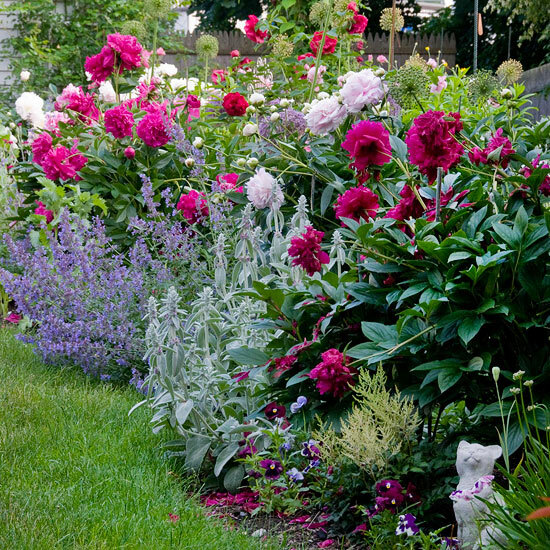 Any soil can be improved, so customize to create a plant-perfect blend. 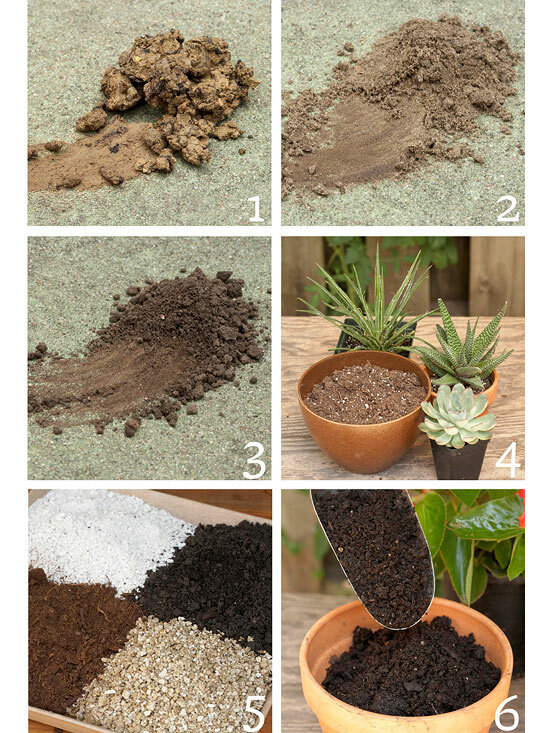 Here's the lowdown on common types of soils and potting mixes. 1. Clay: Heavy, sticky clay holds water and compacts easily. 2. Sand: Gritty sand drains quickly and doesn't hold nutrients. 3. Silt: Crumbly silt holds nutrients and moisture, but it packs down. 4. Cacti and Succulent Mix: Equal parts sand, perlite, and potting soil provide the drainage these plants need. 5. Premium Mix: Jazz up potting soil by adding perlite, composted manure, vermiculite, and peat moss. 6. All-Purpose Mix: A blend of peat moss, vermiculite, and composted bark works well for most plants.. 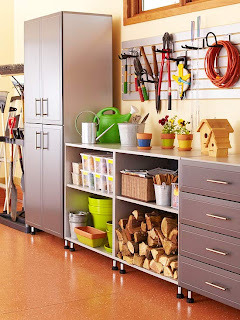 The initial preparation of a garden is the biggest workout. But routinely loosening soil becomes easier each year before planting as you continue to add organic amendments. Work soil only when it is damp or dry, not wet. Avoid walking on beds and compacting soil. Rough out a planting scheme on paper, and use it to figure the size and quantity of plants you will need. Match plants to the growing conditions in your garden, especially the amount of sun or shade available. Group plants with similar needs for light, soil, and water. When shopping, opt for lush, vigorous plants with lots of buds rather than those showing off flowers. An annual completes its life in one growing season; a perennial comes back year after year.Forgo sickly plants with withered, mushy, or disease-spotted leaves. Check the soil and under leaves for signs of insects. Find the plant's tag. It tells you what a plant needs to thrive and what size it will ultimately become. If there is no tag, ask the garden center staff to tell you more about the plant. 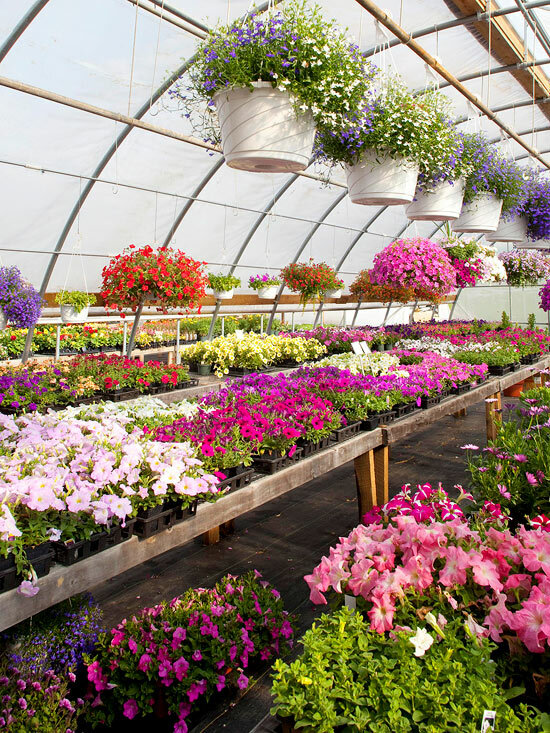 Each plant is rated for its ability to withstand cold temperatures, called a hardiness rating. Match the plant's rating to a USDA Zone map that shows how cold your area gets. Select plants with smooth, pale roots that are not tangled or growing out the bottom of the pot. Plants in cell packs or small pots boast plenty of flower power within a season or two. Larger plants give more impact sooner. Annuals: Flowering or foliage-only plants live colorfully for a single growing season. Perennials: These mainstays fill beds with shape, colors, textures, and fragrances year after year. 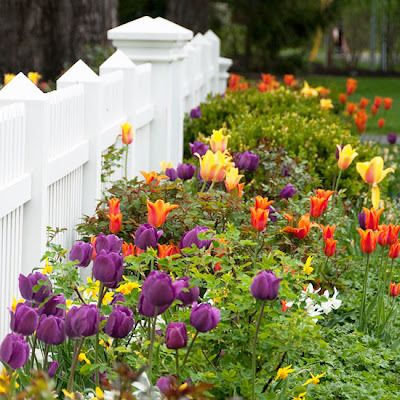 Bulbs: Plant cold-hardy bulbs in the fall for spring blooms in most regions. Climbers or Vines: Annual or perennial, these versatile plants cover vertical space with foliage and flowers. Shrubs: Flowering or evergreen shrubs work as accents or hedges and for seasonal interest. Trees: With large-scale form and beauty, trees add long-lived shade and shelter. Turfgrass: Good lawns include a blend of grass types that suit the climate and light conditions. Every plant needs water to survive and grow. Plants' needs for water vary depending on the weather, the soil quality, and the plant's type, age, and size. An inch of rain or supplemental water each week sustains most plants in garden beds. Water after planting. Deep, thorough watering infrequently is better than a light sprinkling every few days. Potted plants may need watering daily, especially during hot weather. Water early in the day to minimize evaporation. Check soil for moisture by poking a finger into it—if soil feels dry, it's time to water. Choose unthirsty plants that will thrive with minimal water, and use them to make areas of your garden less water-dependent. Group container gardens to reduce evaporation from potted plantings. Adding loads of organic matter—such as chopped leaves, rotted manure, and compost—to your garden helps the soil soak up water and stay moist longer. Use a garden fork to mix amendments into the soil 3-12 inches deep to help the material do its work. This process also fluffs and loosens soil, allowing air and water to reach plants' roots. Plants need nutrients to grow and flourish. Most soils provide many essential nutrients. Fertilizers replenish the minerals that aren't always available adequately. As a time-saver for you and a lifesaver for plants, spread a layer of shredded bark, chopped leaves, compost, or another material over the soil between plants—nature's way of recycling! 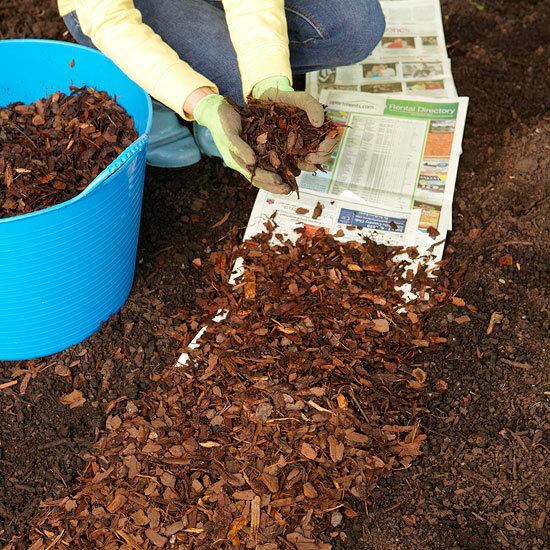 A 2- to 3-inch layer of mulch is one of the best multitasking materials for gardens, including beds and containers. Mulch conserves soil moisture, blocks weeds, insulates soil and plant roots from extreme temperatures, prevents erosion, and attracts earthworms (nature's soil builders). Having the right tools will make gardening easier and more enjoyable. Consider a garden caddy. Durable digger. Breaking ground and turning soil are among the most basic of gardening tasks. A sturdy spade or shovel and hand trowel are essential. Efficient fork. Cultivating soil is key to preparing new planting areas and uprooting weeds. A wide-tine garden fork loosens soil, mixes in compost, and lifts and moves mulch. Clean cutters. Choose the best-quality cutting tools you can afford, and keep them clean and sharp. Have hand pruners and loppers ready to snip stems and branches.